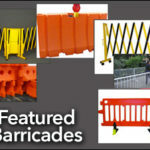 Traffic Safety Warehouse is one of the biggest distributors of Plasticade products. 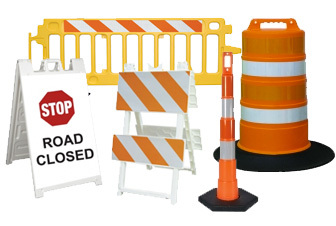 Everything from Plasticade barricades to traffic cones to sign stands. Every year Plasticade is the innovator of new and better traffic and business safety products and they continue to be a leader in value, quality and protectors of the environment. We pass on that great value straight to our customers, giving them the best pricing in the market for every Plasticade product we carry. All Plasticade products are thoroughly tested and made to meet or exceed the standards set by the Federal Highway Administration. If you have any questions about any of our Plasticade products just give us a call at 877-966-1018. You can also get more details about Plasticade products on the Plasticade website.